Serra Frank, the Founding Executive Director of Moms for Marijuana International, will be hosting a press conference with her partner, Billy Fisher, on October 3, 2013 in front of the Spokane County Court House. This press conference is to bring awareness about the nationwide issue with CPS and Cannabis Consuming parents, and focus on the local issue regarding the fight for Billy’s daughter, Lilly Fisher, in Washington State. Billy is currently fighting CPS for custody of his daughter after begging for help to save her from an extremely unsafe situation. CPS refuses to give custody to Billy and cite their primary concern to be his use of marijuana as medicine, and now are focusing upon his newly found Activism. Billy has a Revision hearing at 1:30 pm on that day, to request the Superior Court to revise Spokane Family Law Commissioner Jolicoeur’s recent order that demands that Billy quit using Medical Marijuana for his Degenerative Disc Disease while submitting to inpatient treatment for Cannabis Dependency for 30 days, as well as random UAs during 2 years of after care. Washington Law, RCW 69.51A.120, protects Billy Fisher’s parental rights as a medical marijuana patient in compliance with that chapter. Commissioner Jolicoeur is ignoring Washington State Law, and forcing Billy Fisher to forgo due process and his parental rights in order to obtain custody of his baby girl from State dependency. Billy’s little girl was NEVER taken from him, and he has done NOTHING wrong that would justify the commissioner’s ruling, much less the threat of permanent adoption of his baby if he does not comply. CPS policy regarding Marijuana use is illogically based on the assumption of harm, from a drug and a plant that cannot harm anyone. 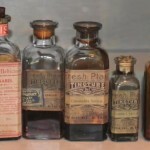 It is unethical, to force anyone to stop a medical treatment that is working, and go back to one that has already failed… just to be allowed to be a parent. And it is irrational to insist that Billy be locked up for inpatient rehab for his MEDICINE, especially in a state where citizens just voted to STOP LOCKING PEOPLE UP FOR MARIJUANA. Please join us in support of our founder Serra Frank, Billy Fisher and The Fight for Lilly Fisher. Rally starts at 11:00am, with press conference starting at 11:30am – on Thursday October 3, 2013 – directly in front of the Spokane County Court House. Bring a sign, an empty stroller or car seat, or just your warm body and help rally in support. Everyone is welcome to stick around for the hearing at 1:30pm in the presence of the honorable John Cooney. If you cannot join us in person, please call the court house, email, or fax your thoughts to the Presiding Judge in this case. 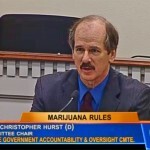 Rep. Christopher Hurst held a hearing today in Olympia on Medical Cannabis and I-502. He called it the “Reconciliation”. In other words, they are closing it down. For those out there claiming we are being fear mongers, go listen for yourself what the Prohibition Industrial Complex has in mind. We fast forwarded it for you all, but the whole thing is worth listening to. Rep. Hurst shows that he is still all about protecting police jobs and the prison industrial complex over rational policies on cannabis. His background includes Police Chief of Black Diamond (a town that wants to declare a moratorium on medical collectives) and drug task force teams that all rely on Federal grants that target cannabis. I-502 was a Trojan Horse, designed to take out medical cannabis. Even the bankers in an earlier part at this hearing said that it was policy driven, not actually intended to work. So now all the medical patients are direct enemy #1. Well, 99% of us, anyways. And they call us paranoid? Why are they so afraid of a bunch of sick people? Notice how there was a complete lack of anyone from the Medical Cannabis Community there to speak out against the lies being tossed around. Notice how not a single one of them laid any blame on the politicians who have kept Medical Cannabis in this perpetual state of being unregulated and unlicensed? You see, it’s all the sick people’s fault. They are all fakers, right? So what does it matter. Especially the ones with pain. The solution? Lock ’em up! Useless eaters! How can people even to begin to feel good about themselves for stripping away the dignity, humanity and basic rights of another individual that is causing them no harm? You won’t believe us if when we tell you. Seriously… anti-aging, anti-oxidant and rebuilding brain cells. Yes. You read that right. One hand of government lies and arrests you for medical purposes while the other hand patents the medical purposes. Awarded to the US Department of Health and Human Services in 2003.